Vilnius, the capital of Lithuania, is filled with extraordinary architecture, old churches and tradition. However, these days modern art is also thriving in the city, and there are many art galleries which you should visit while staying in Vilnius. Here are the best 10. Contemporary Art Center (CAC) is the heart of Vilnius’ contemporary art scene. This huge – over 2000 square meters – center has five exposition rooms and a cinema hall, where new works of art are being shown every single week. 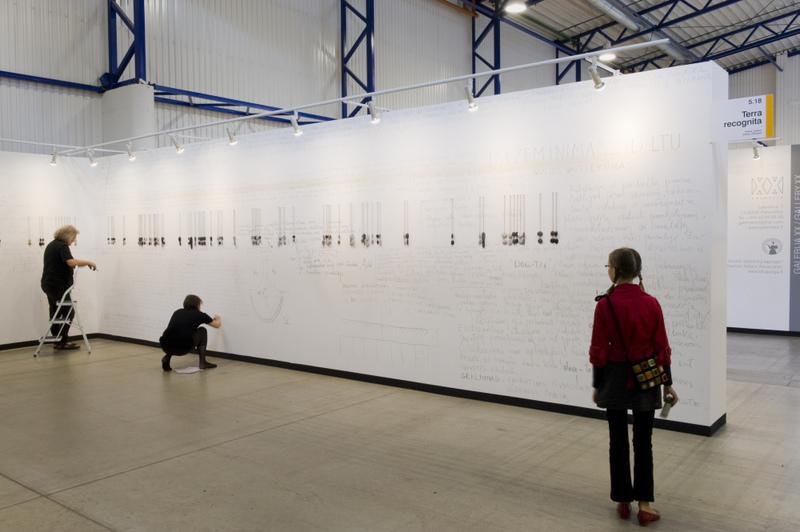 CAC also organizes a lot of events, of which the most famous is Baltic Triennial of International Art. Vilnil is the perfect place to go for families with little kids and people who love to take funny pictures. There are a lot of different exhibitions which can make you laugh and trick your friends. You can walk upside down across the room, visit the hall of mirrors which make your body look funny, or change your body’s size and become Thumbelina. Tsekh is an Ukrainian contemporary art gallery with a cozy atmosphere and professional staff that will explain every single detail and the history behind the art. The visitors can enjoy free exhibitions and purchase the paintings which they see. It is a nice place to come on a cold winter day as you can purchase hot drinks to make your visit much warmer. At Terra Recognita jewelry is made into art exhibits. If you are a fan of jewelry and want to see (or even purchase) the best work of Lithuanian artists, you must visit Terra Recognita. GRAFO gallery is located in the basement of Dublis restaurant, and it is dedicated to showing Northern Europe through the eyes of many young, talented artists. The gallery itself is beautiful, and every single exhibit has a lot of meaning and hidden messages behind it. Vitražo Manufaktūra is a gallery dedicated to glass – all the exhibits are made from glass and visitors can learn the history of Lithuanian glass just by visiting Vitražo Manufaktūra. There are also some glass making workshops available for people who want to learn the process and have a go for themselves. 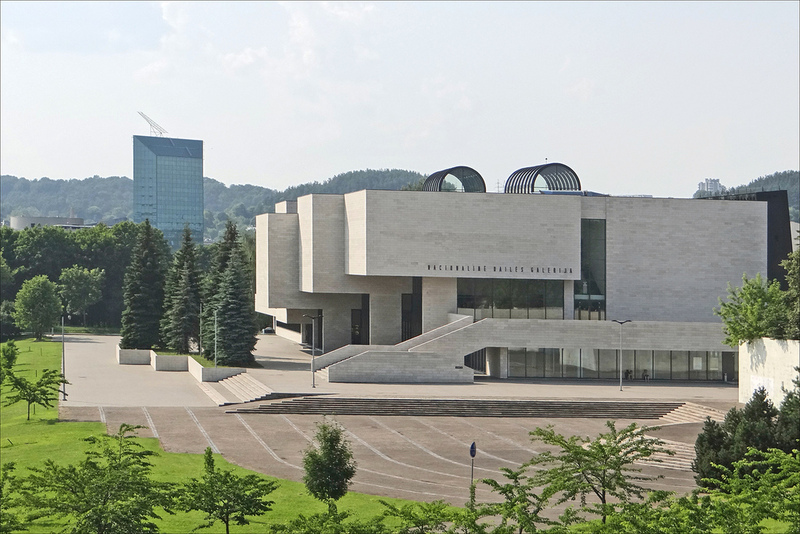 The National Gallery of Art is a branch of the Lithuanian art museum and also the biggest gallery of paintings in Vilnius. There are 10 rooms dedicated to different periods of the 20th and 21st centuries. You can see the best paintings of the most talented Lithuanian painters, including works of Kęstutis Zapkus. Different lectures and events are occasionally organized in the gallery. Edita Suchockyte is one of the most famous artists in Lithuania, and if you like surrealistic paintings of women, you must visit her gallery and maybe even purchase some of her works. Edita graduated frim Vilnius Art Academy in 1999 and has been painting ever since. Menų Tiltas is located in the heart of Užupis, next to the angel and showcases the best paintings of the 20th and 21st century Lithuanian artists, who live abroad. You can find the works of Vytautas Kasiulis, Pranas Lapė, Kęstutis Zapkus, and many other famous Lithuanian artists. The gallery also hosts a lot of individual exhibitions every year, so check their website for more information. Gallery ARKA is one of four galleries established by Lithuanian Artists’ Association and is the home of hundreds of exhibits of both Lithuanian and foreign artists. 40 unique exhibitions are hosted in Gallery ARKA annually, making it one of the most popular galleries in Lithuania. You can find all the different contemporary arts from glass exhibits to sculptures to paintings in Gallery ARKA, so everyone will find something to their taste.